Patagonia, Fin du Mond. A different world down here. Beautiful, in a stark, windswept way. It always feel like it just stopped raining. Low scudding clouds move across the sounds. Mountains looming in the background. There is still a frontier feeling to Patagonia. Though there are bits of history here and there, much of that history is Naval. 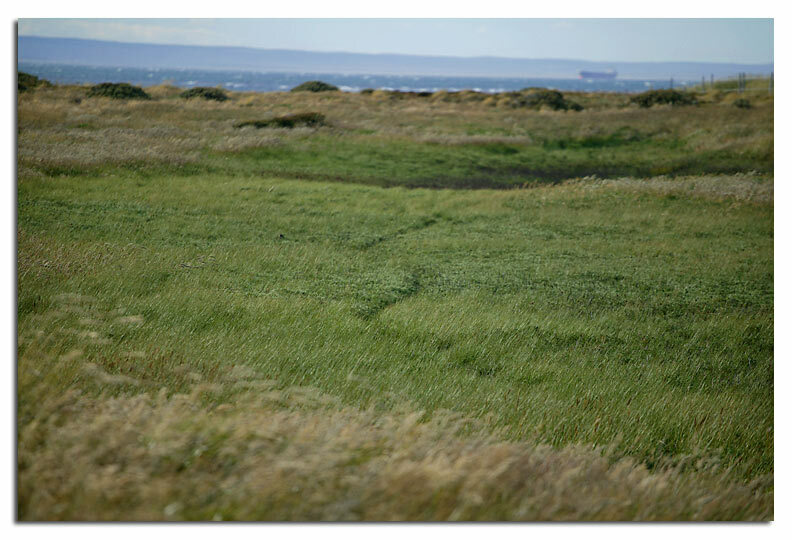 The land itself feels wild, elemental. Largely unexplored. Punta Arenas. 125,000 people. 53 degrees south of the equator. 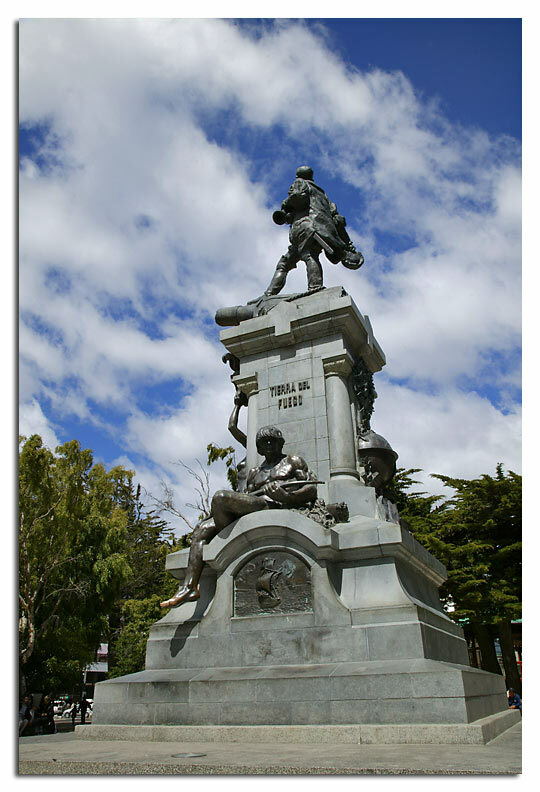 Let's be frank, Punta Arenas is somewhat grubby and feels a bit down at the heels. But there was a certain bit of business I needed to take care of here. First though, I had to make my way to Plaza Munoz Gamero, in the heart of the city. There, amidst the trees and stray dogs, is a monument commemorating the 400th anniversary of Magellan's voyage. 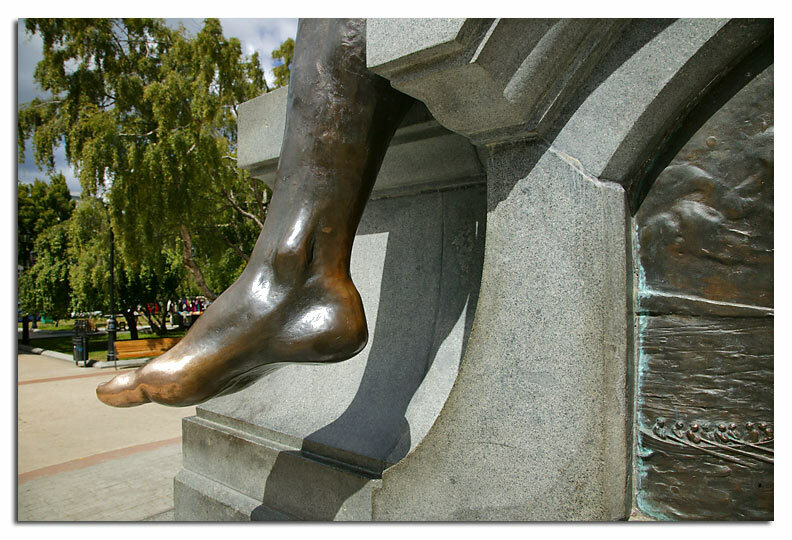 Tradition has it that you should rub the foot of the Ona Man for good luck. 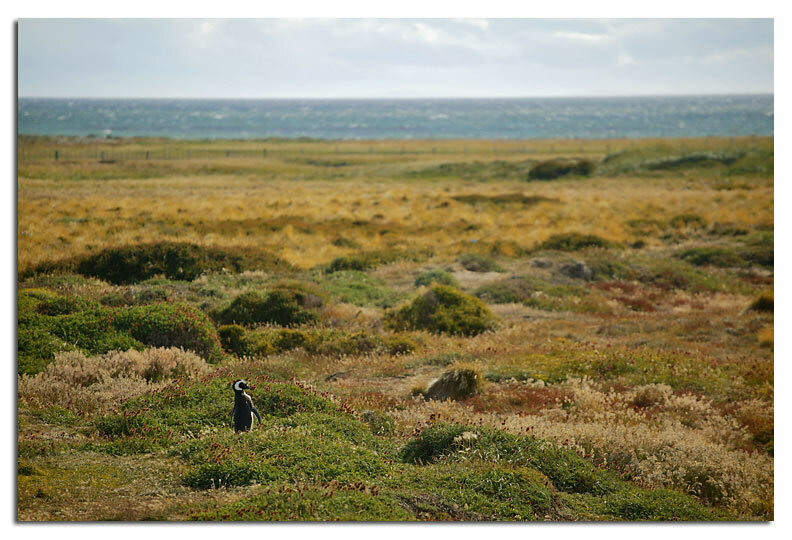 After walking around town for a bit I hired a driver and headed out to Seno Otway to visit the colony of Magellanic penguins there. Christian, my driver, was a jolly fellow. He told me about the land, and the birds, and what is was like to live at the end of the world. 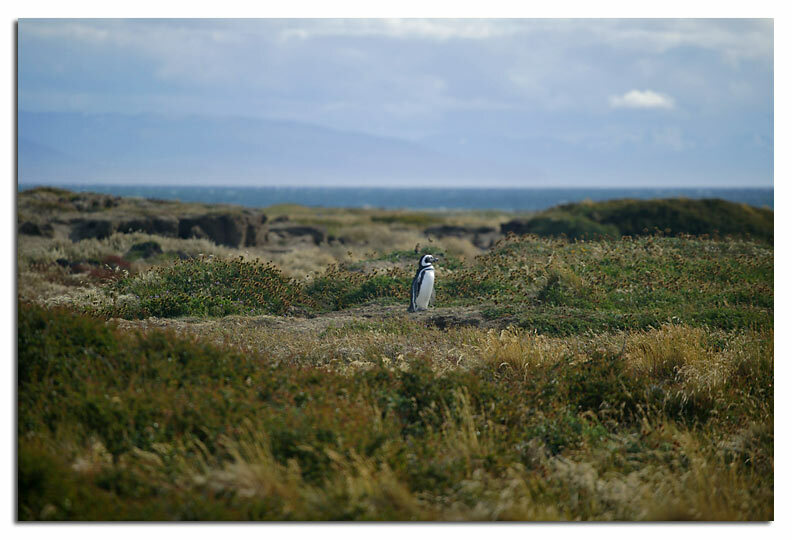 We drove out of Punta Arenas, along the Atlantic Ocean. Just north of the airport we turned onto a dirt road, and some 20 minutes later (after seeing numerous ibises, and a condor) we arrived at the shores of the Pacific Ocean. It is little events like that that serve as object lessons for just how far away from home I am. 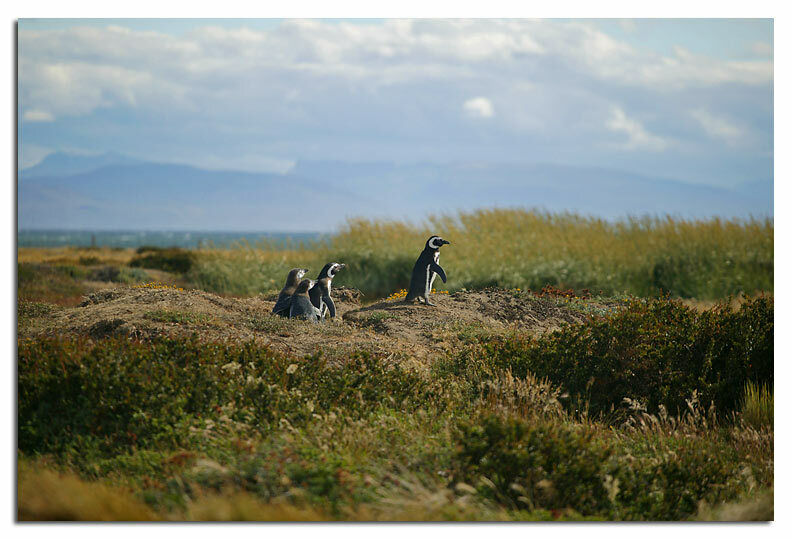 In a low, heathery area is the nesting area for a colony of about 6000 breeding pairs of Magellanic Penguins. 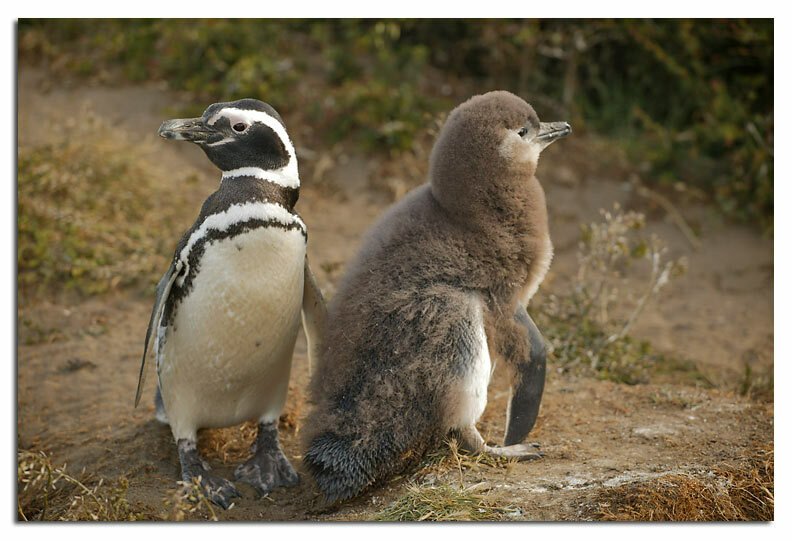 smooth black and white, attending to their chick, which is the same size, but grey, fuzzy and unkempt.